Not only could a young bride learn how to cook (recipes from breadmaking to catsups to game to jelly, in addition to complete menus or bills of fare for holiday meals) she received a list of what chores needed to be done in each season. (The list was daunting and included dismantling the wooden bed frame to soak the ends in brine to keep away bedbugs—book is 478 pages long), as well as recommendations on the type of cleaners helped her achieve the correct results. The book was compiled by women and often more than one recipe existed for the household aids. Contributions to the book obviously assisted in running a household economically but also gave the homemaker food for thought or subtle admonitions along the way. In the introduction to the Housekeeping section is this statement: “If girls were taught to take as much genuine pride in dusting a room well, hanging a curtain gracefully, or broiling a steak to a nicety, as they feel when they have mastered one of Mozart’s or Beethoven’s grand symphonies, there would be fewer complaining husbands or unhappy wives.” The author lost me at ‘dusting’ because I hate that chore. But I had flashbacks to passages in The Feminine Mystique by Betty Freidan where she claimed women used the chores of keeping house as a dodge against not truly discovering what they could accomplish. Or in a section titled Accidents and Sudden Illness: “It is no longer considered a mark of the highest type of the feminine mind to faint away at the smallest fright, and to sink into helplessness at the first hint of danger.” Knowing a time existed when this behavior was lauded is tough in these independent times. Reminders like this are sprinkled into the practical and helpful advice, like a female from an older generation wagging a finger as she speaks the words. I found the juxtaposition entertaining. By reading the recipes and methods, I learned what foods, seasonings, and supplies were available at that time (at least in Ohio). Cayenne pepper being blown (with a small bellows) into cracks and crevices of a swept floor to keep away vermin surprised me. I assumed as a foreign spice that that might be expensive. Furniture made from wood veneer was available--I thought everything was solid wood. Oil cloths were often used like a carpet, painted in a colorful, and then coated with several layers of varnish before being tacked to the middle of the room. Ready-mixed paint could be purchased. Kerosene was rubbed on the skin to keep away mosquitoes. What? Both castile and gall soap are mentioned, but I couldn’t find a reference in the dictionary or Wikipedia for gall soap. Anyone know what this product was like? A final aspect I appreciated was the Buckeye Publishing Company of Minneapolis, MN, and Marysville, OH, included an offer at the front to contract with women to sell the books. They wanted “bright, wide-awake woman, who need work that will pay liberally, no matter in what part of the country they may live.” I like seeing a company who believes in the product in that way. Maybe I’ll write a future heroine who had this job. 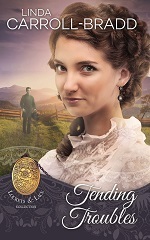 TENDING TROUBLES released January 29th and is the sixth book in the Lockets & Lace series (it also serves as Book 7 in the Dorado, Texas series). 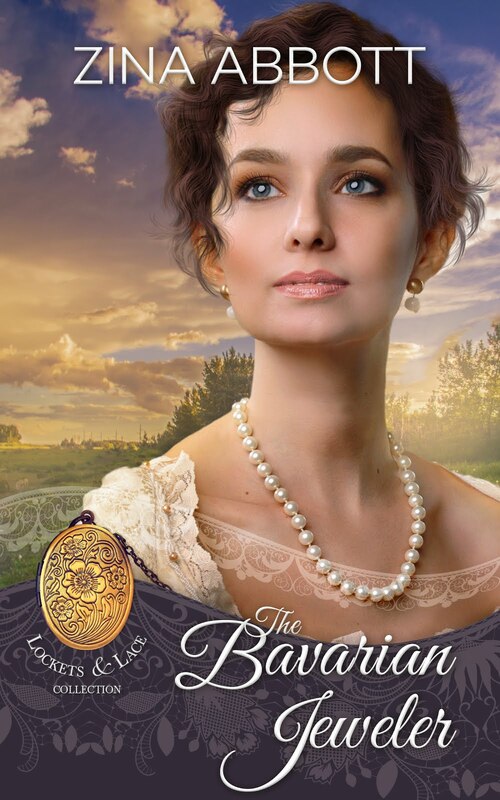 Will tending Dorado’s sick children drive Doctor Reggie and his helper, Imogene, apart or draw them closer together? Linda, could you tell me Book six's title of your Dorado, Texas series? gall, or bile, a matter secreted by the liver and stored in the gallbladder, was an excellent degreaser so sufficient to mix a little to the vegetable-based laundry soap to get an effective stain remover..but it does not smell very good,although in my opinion, neither does plain lard-based soap. Adding ether to gall eliminated much of the bad odor & made an effective stain cleanser. Also, cayenne pepper although originally from tropical areas it readily grown as an annual in the US & easily preserved by drying. The government actually once sent out scouts to find plants worth bringing back to US for cultivation.